Nov. 17 should be known as the night The Depot turned into a honky tonk. Indianola served as a great precursor for what was about to follow. The two-piece out of Jackson, Mississippi, were a great mix of blues and rock. They have kind of a Black Keys feel minus the sell-out aspect and inauthentic feeling of their later albums. Indianola did more than just open for the band. They engaged the audience by playing music that was applicable to the show. They had elements of jazz, blues and folk infused into each song. Their last untitled song was a solid eight-minute blues song that would have had Muddy Waters cheering to no end. The lights dimmed and the crowd moved forward, cheering for Shovels & Rope. They wasted no time in transforming The Depot into a honky tonk in small-town Georgia. The duo are a married couple based out of Charleston, South Carolina. Their love as a couple plays right into their music and stage presence as they showed Salt Lake how beautiful and intimate true folk, blues and rock should be done. Both Cary Ann Hearst and Michael Trent are multi-instrumentalists. Throughout the show, Trent played the guitar, mandolin, drums, harmonica and piano. Hearst played the guitar and drums. Both played the electric and acoustic guitar interchangeably. Their talent and passion brought one hell of a show. The love and intimacy they share was on display perfectly. The first leg of the show was pure country music, the type of music that would impress Hank Williams. It was during this time they blended their songs and kept the dancing and singing going. “From the Crescent city to the Great Salt Lake, it ain’t what you got, it’s what you make.” These are the lyrics in the song “Birmingham.” This song was followed by a roughly two-minute guitar introduction. This introduction switched the setlist to a more intimate setting. The mood changed as the rift and chord progression became more recognizable. All previous dancing and hollering had ended and were turned to Hearst beautifully strumming her guitar while Trent delicately played the drums. When Hearst sang the words “Salt Lake,” the crowd cheered, which brought on a feel of love and camaraderie. This was a constant theme of the show. Later on, Trent would speak of the political climate of the country. He and his wife asked that we love each other and stick up for those who already feel alienated. This was a much-needed, sobering thought as the crowd, was about as diverse as it could get. 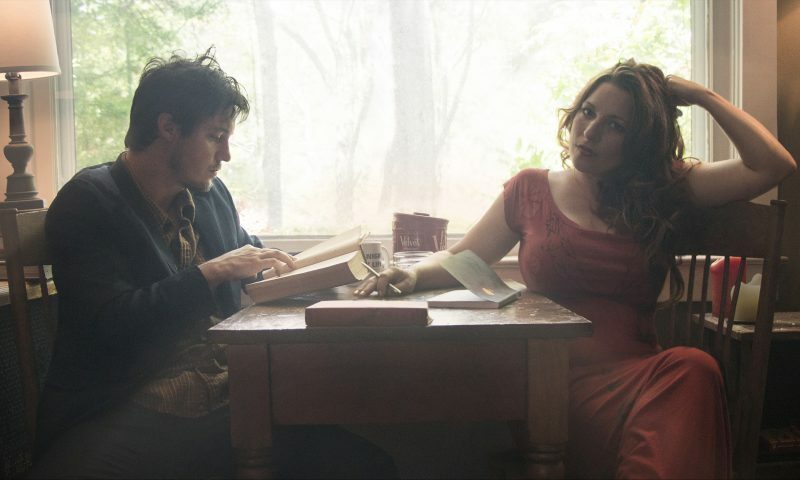 Once “Birmingham” was done, they began to give commentary on a song on their latest album, Little Seeds. The song “St. Anne’s Parade” follows a meeting of two parties: One was a funeral march and the other celebrating a wedding. The juxtaposition of the two events fascinated them enough to write down their feelings. This prelude of a message brought the tone of love and unity to the forefront as you can hear the emotion coming from both of them as they sang this powerful song. 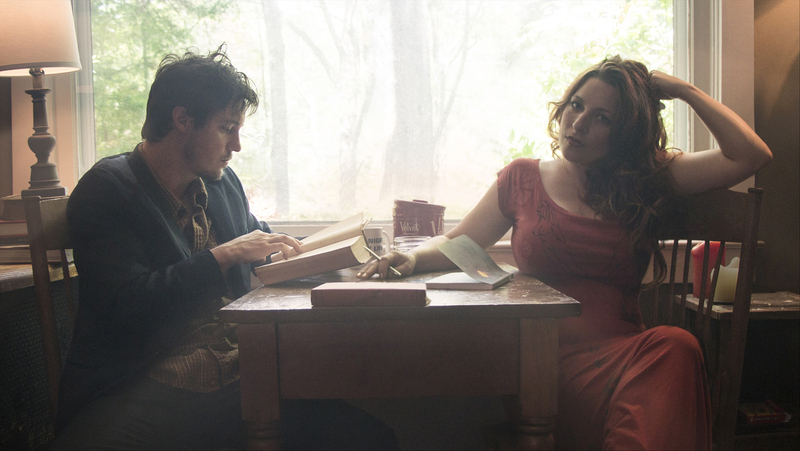 Shovels & Rope entered into their rock portion with the song “Evil,” which is on their second album, Swimmin’ Time. This song marks a clear and distinct path that they are following as band. Later they would play “I Know,” which is the first track on their third album. They played both songs with heavy distortion and heavy drums. This portion of the show really showcased their talents as musicians. The background of the stage was sectioned into four lines of vertically stacked pallets. As the tempo of the song changed, so did the lights on the pallets. They were also used as a projector for their various album covers. During the song “Botched Execution” the imagery was a woman living on a farm doing menial chores. The background images added to the different themes of the show. Eventually, they made their way off the stage. This was met with cheers and yells for an encore. When the lights did not turn on and the music that means “get out” did not play, the suspicions of the crowd were confirmed. Shovels & Rope came out and played three more songs, and once again, mentioned the need to come together in unity because the political climate of the country is leading to a divided nation. They described their last song “Boxcar” as an “old one.” The song was sung with passion and love. They did not hold back during this show at all. Their current tour will end in February in Nashville. It’s my impression that folk/country rock are not huge in Salt Lake, however, this night it was front and center.